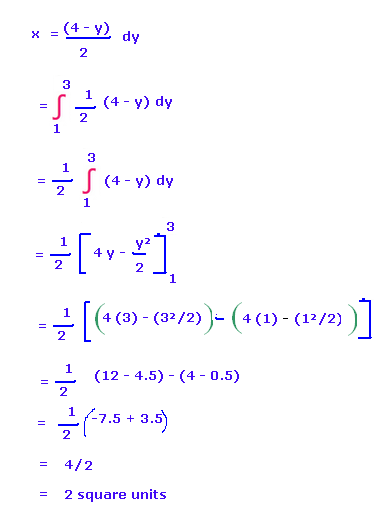 In this page area enclosed by yaxis we are going to see some example problems to know how to find area bounded by region and y-axis. 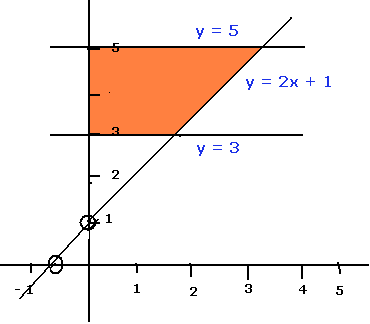 Find the area bounded by the curve y = 2x + 1, y = 3, y = 5 and y-axis. First let us draw the rough graph for the given line. 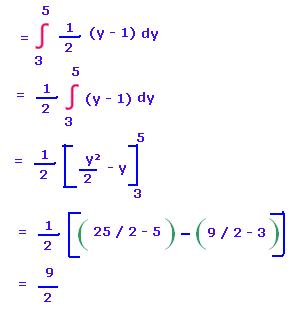 For that we need to find x and y intercepts. The required area is right side of the y-axis. So we need to use the following formula. 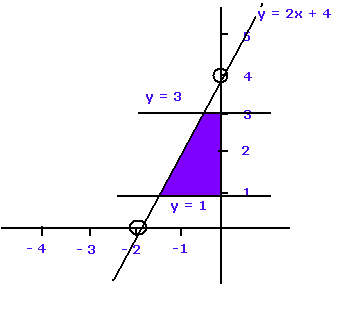 Find the area bounded by the curve y = 2x + 4, y = 1, y = 3 and y-axis. The required area is left side of the y-axis. So we need to use the following formula.